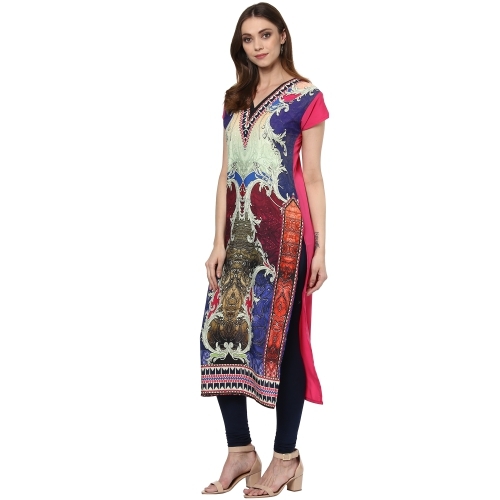 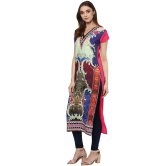 Designed In A Multicolour, This Kurta From The House Of Anuswara Is Designed With Digital Print. 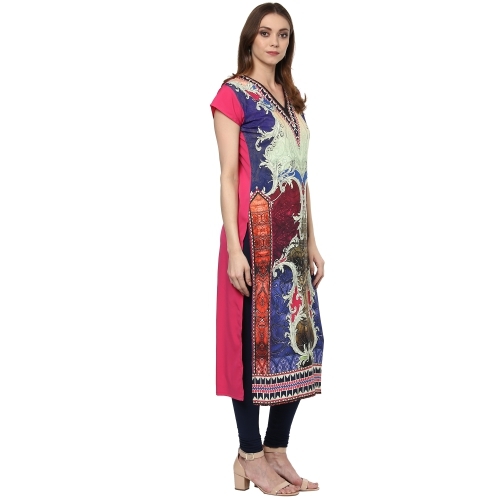 The V Neck Adds Oodles Of Style To This Kurta. 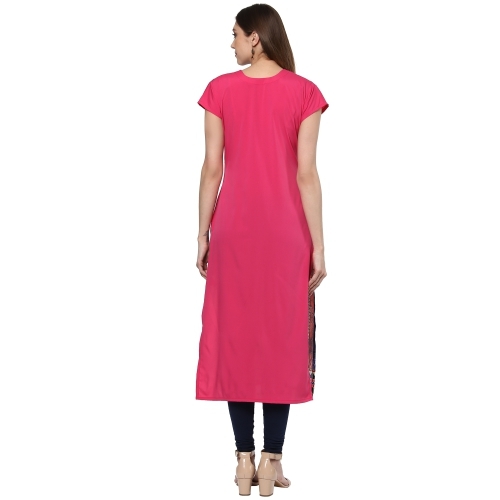 Pair Up This Casual Kurta With A White Churidar And Beige Stilettos.